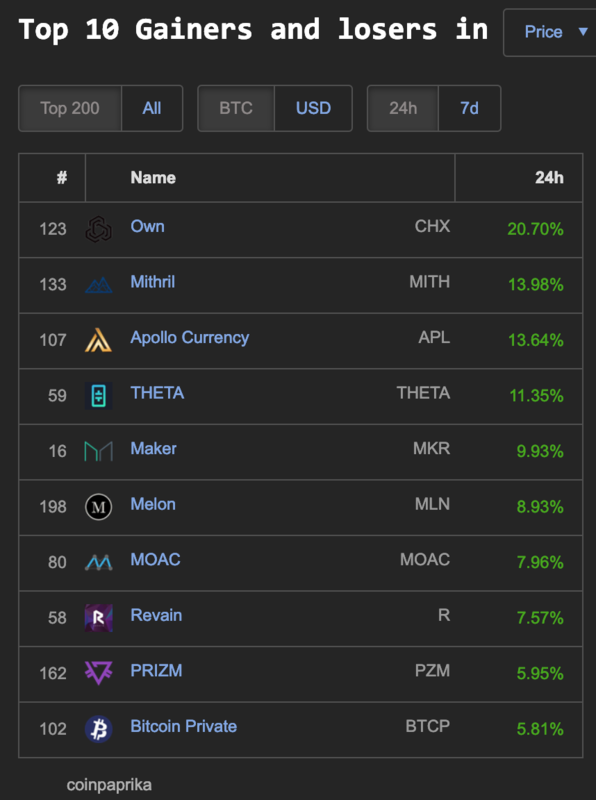 The larger cap crypto market is seeing quite a bit of red on Valentine’s day, a few bigger names have single digit Green gains (BNB, MKR, XMR, NEO, MKR, and MCO) on coin360.io. 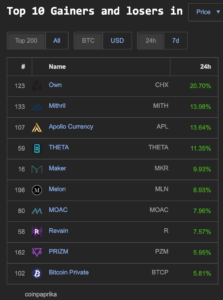 Coinpaprika.com is showing less than a handful of double digit gainers in the top 200 marketcap : Own (CHX) 20%, Mithril (MITH) 13%, Apollo Currency (APL) 13% and THETA 11%. 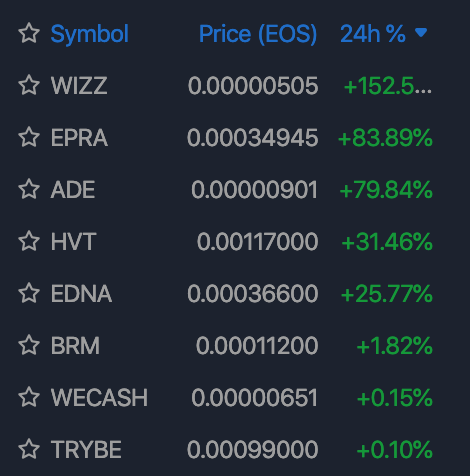 The highest green Double and Triple digit percentage cryptocurrency market gains are still being traded with EOS. 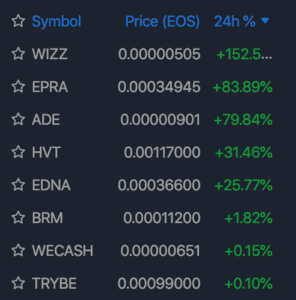 Some higher double digit gains from non-gambling/gaming Dapps are: WIZZ (152%), EPRA (83%), ADE (79%), HVT (31%) and EDNA (25%).